Recently, we presented an article intended for lovers of fine mechanics at low cost by selecting 20 models of less than € 500 automatic watches. The success of this first article, we decided to go upmarket to achieve this time a new symbolic bar: that of the € 1000. Be aware in the preamble in the eyes real purists, we’re still in the “low end” at this price level. Whatever it is, to be invested to obtain one of the templates below will appear excessive to the insensitive world of watchmaking, but keep in mind that the watch is the only object (proportionately) for which man is able to splurge. At the level of the movement, it does not change much compared to the lower price range and we stay on the ETA/Miyota classic (I advise you to consult again the mini-guide of previous article). 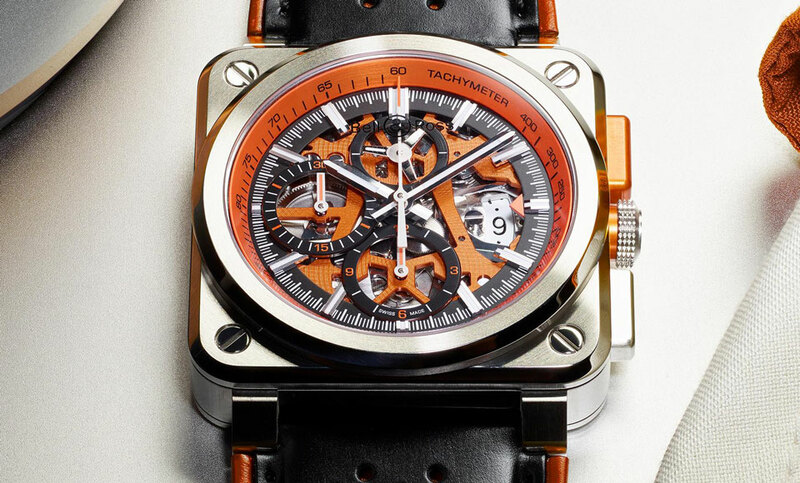 This is therefore 20 automatic watches between € 500 and € 1000. They are rare, but the new high-end watch brands offer quality products. It is the case of the Rhône 88 Street, launched in 2012 by Pierre and Elie Bernheim, grandson of the famous Raymond Weil. Their identity is based on the number 8 and all the connotations coming with him (in Asia, for example, it symbolizes luck, ambition and power). The Rhone for its street is the main shopping axis in Geneva regarding the luxury. If their range still has many very original quartz models, they have Double 8 Origin model to automatic movement (obviously the ETA 2824) very refined with his yellow gold case and its minimalist dial. This is a well known brand of lovers when it comes to advise a model around the 1000. Pioneer of the watchmaking industry of Germany existing since 1924, the quality of the Archimedes products is no longer to prove (“deutsche Qualität”, as they say). Their range is not of the most cutting-edge and simply offer classic designs. It is especially provided aviation. See especially this Pilot 45 model with steel case and his Milanese mesh bracelet. We love this black dial showing the white markings, the etched Crown and back revealing a very reliable Sellita SW200. Autodromo is a brand of watches launched in 2012 by a New York industrialist by the name of Bradley Price passionate car and watch. Denotes the universe he has imagined for his brand and it is conquered by this very ‘Steve McQueen Le Mans’ atmosphere, built around motor racing in the 1960s. If initially they only offered models with quartz, there now of great worked very automatic models. A round case of atypical 40mm with its horns, you appreciate the subtle play of colours of the dial. The colorful leather strap then add a touch of extra originality. Inside, it’s a Japanese movement Miyota 9015 24 rubies that comes to roar the beast. 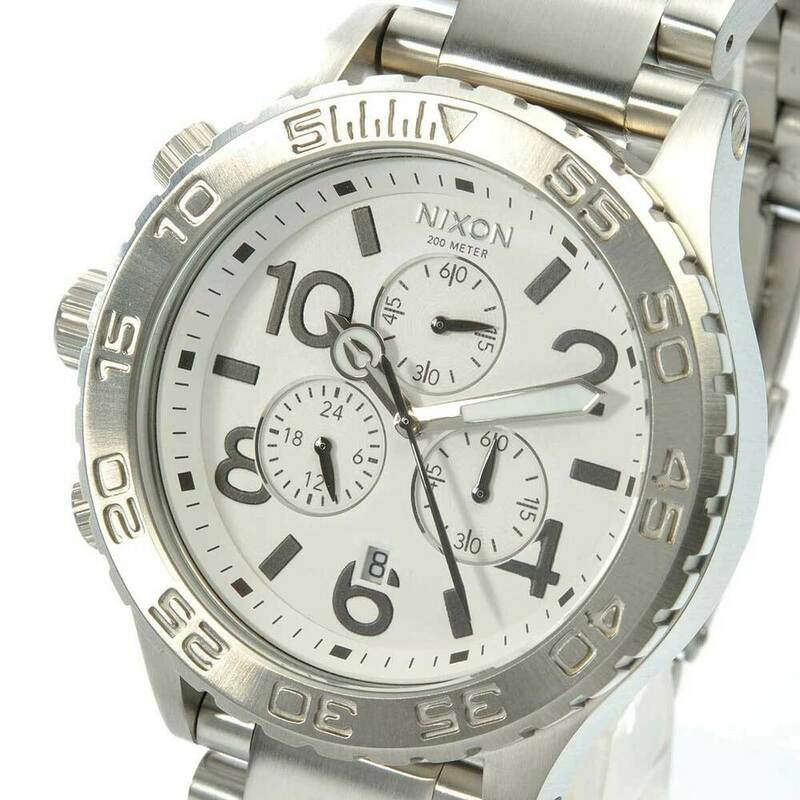 This watch will not go unnoticed on your wrist, believe me! The automotive industry has always had close links with the watch industry and today awakens vocations. On the model of its predecessor, the brand Belmoto takes this universe and puts it in its watch products. The range includes two models including the Tourer which is unanimity among us. 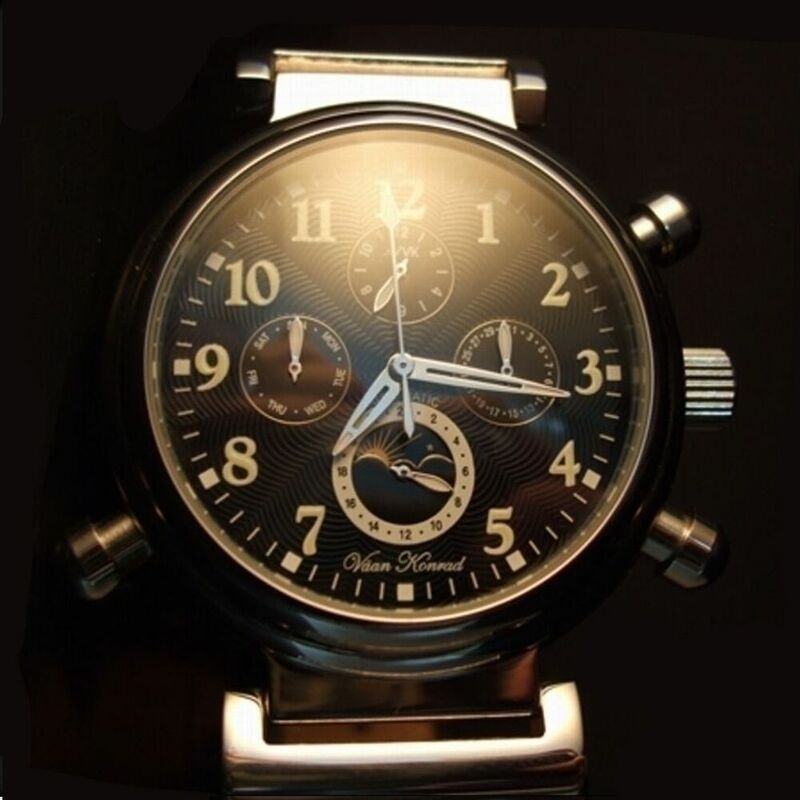 Casing in stainless steel, transparent background, two-tone dial brushed treatment, and a classic movement Miyota 9015. Once again, this gem can leave insensitive by its originality. Carpenter Watches, this is a watchmaker project launched on the Kickstarter crowdfunding platform in 2015 by the industrial designer Neil Carpenter. Inspired by his neighborhood in Brooklyn, is plunging into the history of the watch with the appearance of the bracelet, he wanted to offer a product between authenticity and modernity. A watch of aviation with the end design, automatic movement (Miyota 821 A) keeping a male essence. It is a Visual and commercial success with approximately $ 75,000 harvested. First-time buyers will receive their shows in February 2016, for others, it will be patient even if you can already pre-order the next batch. Born in 2009 in Pforzheim city flagship of German watchmaking in the southwest of the country, Defakto is placed in line with his elders in terms of quality, design and ergonomics. Their Akkord Modular model is one of their banners and was recently awarded to the German Design Awards 2016. We understand why when it was under the eyes: casing bronze 42 mm adorned with a wide black Crown, minimalist black dial with two white hands, and inside a Swiss movement ETA 2824. That design lovers stand, here is your new baby! First ‘big name’ this selection: automatic Frédérique Constant with one of its entry. The Swiss brand created in 1988 has a good reputation for what is to provide entry-level models. Their Classic Index proposed below the € 1000 is no exception to the rule with its FC-303, Sellita SW200 movement changed by care of the brand. In the end, this watch is intended to be a classic in the soul: 40mm in stainless steel, black background, silver index case, all in all a good buy for a first show. Glycine is one of these unknown brands whose products are quality. This watchmaker offers a full range of automatic watches including the Combat Sub that will delight lovers of diving. Available in multiple colors, it embeds in a 42mm a movement ETA 2428 classic case. We particularly like their personal touch subtle brought on this classic of watchmaking. Impossible not to mention Hamilton in such an article, mythical watchmaker, King of this price range. In fact, could have widely expect to see present their famous Jazzmaster here. Without compromising the quality of the models in this range, we wanted to play a different card with the Khaki Navy Pioneer. Its rounded shape is significant, as well as those special horns. In a more general measure, it’s the game of colors and materials, which seduces, this association of money, a blue background with arable numbers and white small seconds dial, then this Brown bracelet. The result: 40mm of pure Visual joy equipped with a Ruby ETA 2895-2 27. Myhique of German watchmaking brand very office in the 1960s, Junghans made a spectacular return to the front of the stage for three years. This comeback, owes plenty to the reissue of its flagship model, the Max Bill. Inspired by the Bauhaus movement, and designed by the eponymous designer, this watch is displayed in minimalism and elegance. The dial looks sleek, and yet its case is 38 mm, it’s say the balance found here. Inside, it’s a J800.1 caliber based on the ETA 2824-2 reliable trez that it embeds. A great classic! The connection between Los Angeles and Biarritz, between traditional watchmaking and contemporary design, that’s what has managed to impose March LA. B. 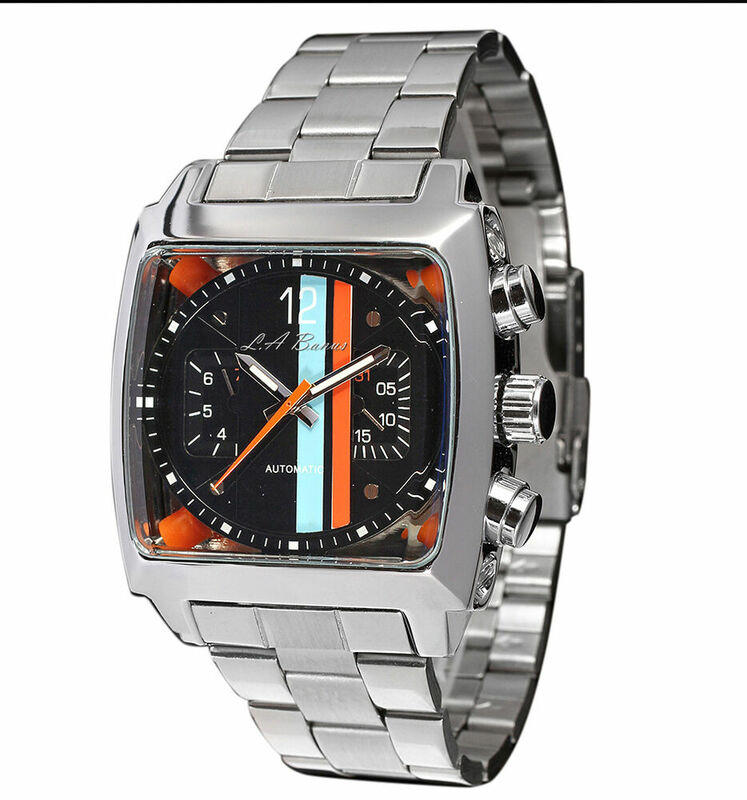 Since 2008, the French brand made a name with its watches inspired by the world of automotive design. The AM59 is the latest family and Joe had tested it in more details in the course of the year 2015. She has emerged as one of our favorites with its 36 mm, steel Crown and his movement Miyota 9015. Lots of character and a design that stands out, it’s March the. B! She doesn’t have a strong reputation among the general public, but the mark Marvin Switzerland remains not less iconic, existing since 1950. Model Malton 119 to cushion is one of its biggest successes. We appreciate that in this version stainless steel Silver with black waffle dial, all equipped with an almost generic Sellita SW200 in this price range. A classic popular amateurs (we tested him in 2014) we love for its square shape. It has long hesitated to include Oris both its flagship models are included in the upper price range, but this great name of watchmaking allows access to classics of quality below the € 1000. Take their Classic Date for example with its rounded silver case, its date and its very worked dial. In the stomach, it hosts a Sellita SW 200-1 which is a reproduction of the calibre ETA 2824-2. It is has nothing more to say, only to see the pretty work made by the brand for its entry-level. 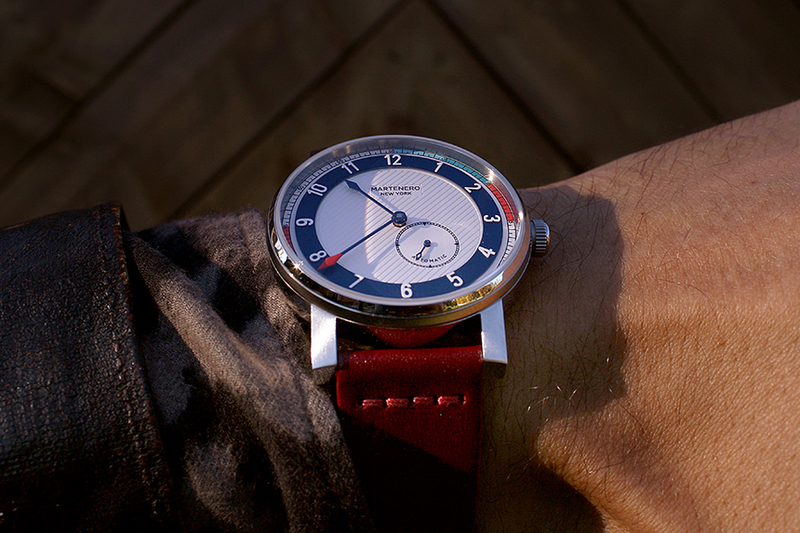 Here’s a name you have certainly heard about if you are interested in watchmaking: Pequignet. 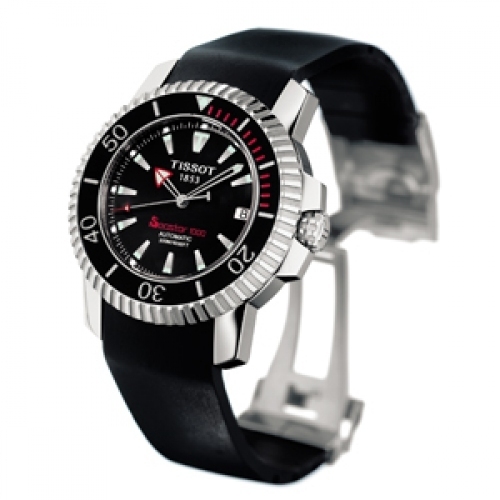 This launched not 1973 French brand offers many classics including this superb diver named Hossegor in its range. In addition to be very pretty in its 43 mm case with his set date window at 4:23, it has the merit to play the card of the originality behind its classic appearance. Indeed, she chose a Japanese movement that others have not, the Seiko SII NH35 with 50 hours power reserve, and nothing for it, it’s worth it. This is still a big name in watchmaking present in this selection: Raymond Weill and his Maestro. If the range has very beautiful Chronographs at more prohibitive rates, this watch resembles classic proposed below € 1000 has everything to seduce. 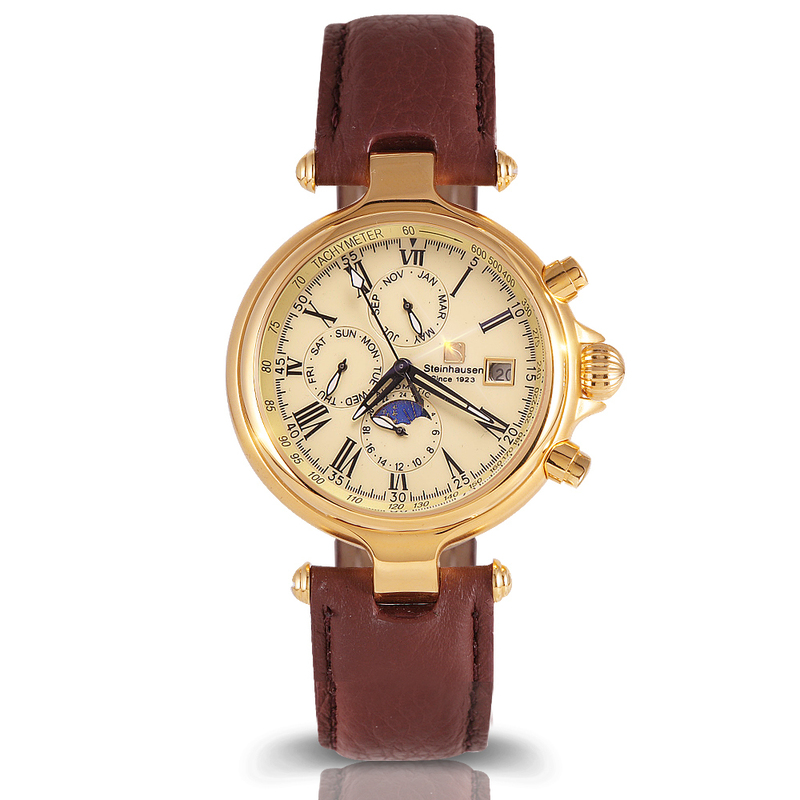 It is refined with its dial adorned with towering Roman numerals and its small seconds. To make it all work, we find inside a RW4250 movement which is actually a slightly modified Sellita SW200. She is simply perfect if you want a stylish and sophisticated model to wear with a suit. If you do not know the Sinn German brand, I advise you to browse their catalog carefully to find a wide variety of quality models. The range in their 104 Pilot whose name can mislead. Indeed, it has everything a classic diver with its rotating and its 41 mm case. Classic, that’s the word concern at best. Date and day 3 h, numbers Arabs and white markings on a black background, a real watch James Bond era Sean Connery for little that he installed a Nato strap. Already present in our selection of less than € 500, Steinhart reappeared with a chronograph of its Marine range. To tell you everything, it has been difficult to choose a watch to highlight both the all the products of the Swiss brand is enticing. In the end, it is this time paying tribute to the first bracelet watches invented for browsers which took my favor of the day. To operate its multiple dials and his second, it’s a superb Valjoux 7750 brand chose him, probably the movement the more qualitative findable tonamment in this price range. In the same way as other names like Archimere presented in this selection, Stowa is one of the first best practices brands when looking to purchase a watch around the 1000. Mythical name of the German watchmaking industry existing since 1927, she did a specialty of Aviator watches and templates with the design inspired by the Bauhaus movement. It’s a watch belonging to the first category we have chosen for this selection: the Classic Flieger. A name she wears well because she’s all of a classic of the genre. In this 40 mm stainless steel case is a movement ETA 2824-2, allowing a view to three needles and a date. 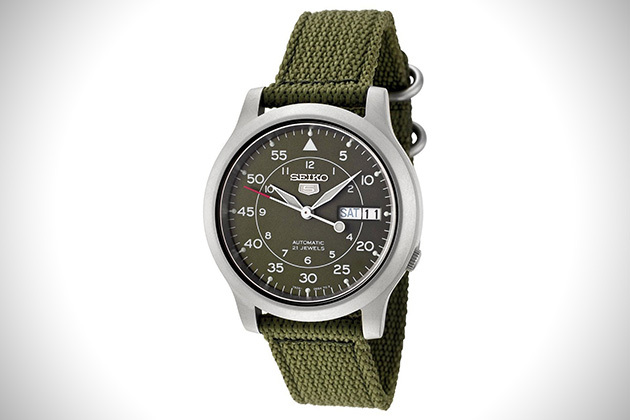 The black background, the markers and white numbers reinforce this impression of generic aviation watch. Be aware, Stowa, it’s solid! Tissot has considerably renewed its range in recent years, including republishing the flagship models of its past in updated versions, and it’s for the best. Among those proposed between € 500 and € 1000, we love their divers. The Seastar 1000 long held the rope, but in the end we decided to choose the value with their PRS 516 proposed at the rate of € 515. First for his rather unusual color scheme for a watch of its kind: a black rotating Crown, a brushed Navy Blue Dial surrounded by white markings and dotted with red keys. Then for his ETA 2836-2 very good movement. This is clearly one of my favorites of the day! You know, we love go find unknown brands to the battalion in this kind of articles. An example with Zelos, this brand of watches from Singapore launched in 2014 by a Kickstarter project. When it is least sensitive to the original product design, can only enjoy their entire range of watches. If the majority is available in the lower price range (which is a good place), they provide a strong Abyss tantalizing model. It is a dive watch fully customized that the brand offers. In a bronze of 43 mm with a rotating case, Zelos chose a movement Miyota 9015 24 rubies. Selected black background is then identified by keys gold adorning the white markings. Some might find it rude, it is in our view quite balanced and the merit of originality. Launched in 1987 by a German watchmaking company, Zeppelin is named in tribute to airships created by count Ferdinand von Zeppelin in the late 19th century. 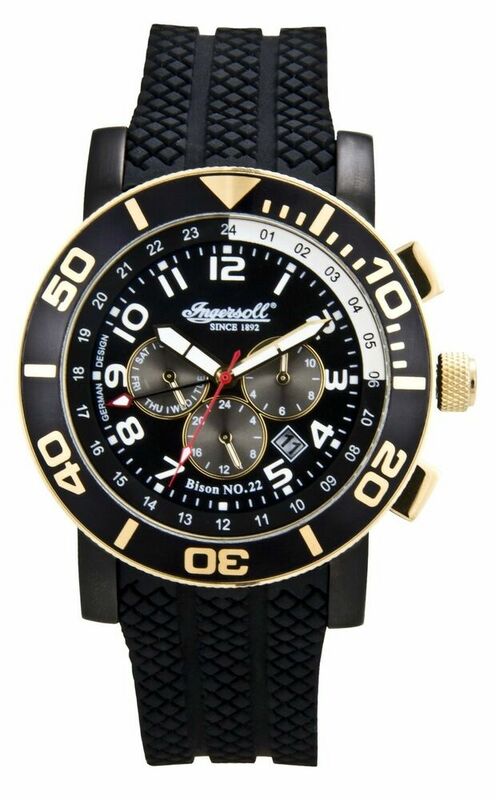 The design of their watches is strongly inspired by the world of aeronautics. Framing the rest of the collection, shows them 100 years has everything to win the hearts of the fans of the genre. It’s a 2826-2 ETA makes work that model 3 hands with a date at 3 h and dispodant of a pulse on the dial to calculate heart rate per minute. Everything is assembled in Germany for a successful result.